Welsh female engineers from across the rail industry are calling for more women and girls to consider careers in engineering surrounding this year’s International Women in Engineering Day on 23 June. 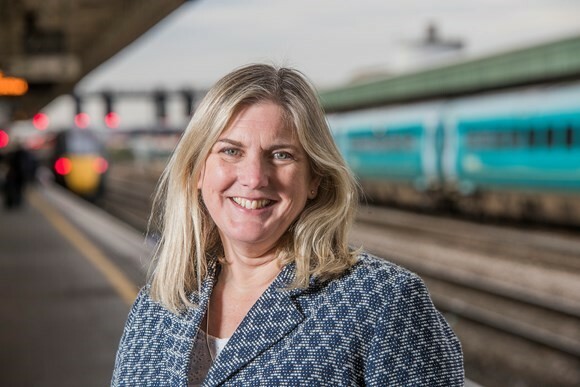 Alison Thompson, director of route sponsorship for Network Rail in Wales and Borders, has worked in the rail industry for over 28 years, having trained as an engineer at university. Alison said: “As a civil engineer myself, I can promise that engineering is not just for men and boys, which is why we are working closely with our industry partners to encourage more women and girls to join the railway. The opportunities for experience and responsibility are huge, from design, construction, site work, office work and engagement with a huge variety of stakeholders. By training as an engineer, Alison has enjoyed a career including project management, design engineering and leading on the delivery of signalling projects. Her current job involves supporting projects through their development and delivery, whether it be a bridge reconstruction or a new railway station. Alison and her team act as the link between the client, the funder and the engineers working on the project, working closely with all teams involved to make sure the project is delivered successfully. Louise Bungay-Azman is an asset engineer for Network Rail in Wales and Borders. Louise is based in Cardiff and is responsible for the maintenance of all of Network Rail’s structures in central and east Wales. She studied civil engineering at Cardiff University. Louise said: “My advice to young girls is to just do it. Don’t let anyone tell you that you can’t. There are so many different opportunities open to you in a career in engineering, just get out there and find what is best for you. I know I’m biased but it really is an amazing and inspiring job to have. Louise, along with a team of other asset engineers, is responsible for the maintenance of Network Rail structures such as bridges, viaducts, walls, tunnels and sea defences. Her job involves looking after the assets from the moment they are installed, carrying out maintenance where necessary. Also supporting International Women in Engineering Day, Tina Rees, fleet safety manager for Arriva Trains Wales commented on the value of encouraging women into rail. Tina said: “Female apprentices are vital for succession planning in our business and it is extremely important that we attract the right candidates. Our female apprentices have demonstrated that gender is not a barrier with one of our apprentices, Chloe Thomas having won a National Apprentice of the Year award. “We are proud of our fleet apprenticeship programme and we hope that many more women will apply for roles in fleet in the future playing a vital role in the transformation of rail in Wales. Cerys Furlong, Chief Executive of Chwarae Teg said: “Chwarae Teg works with women and girls to show them that their ambition should never be limited by their gender. The engineering sector offers some of the most secure, highly paid roles, and women should not feel that they are excluded from these opportunities. “At the moment, we’re facing a huge skills gap in Wales and across the UK, with claims that the number of engineering graduates needs to double by 2020 to meet demand. At the moment women only make up 11% of the engineering workforce – so there’s a huge pool of potential talent available and more women engineers can help to plug this gap. Chwarae Teg is working with the sector to make engineering jobs more accessible to women in the first place. At the moment, only around 11% of engineering companies offer flexible working, and this needs to change.